To me, cracking out the coral blushes signifies the start of summer. There's something about the shade that reminds me of sun, tans and the beach. It's therefore unsurprising that it's pretty much the only shade of blush I've been reaching for lately. I have three in my collection I particularly like and whilst I know that to naysayers they all look exactly the same in colour (they aren't! Promise! ), these are actually all different in formula as well. NARS Bumpy Ride* - If you're a fan of the whole glowy, shimmery blush thing, this one's for you. As someone whose pores can practically be seen from the moon, I'm very careful with shimmery products going anywhere near my cheeks. This one, however, doesn't seem to drastically emphasise pores, instead imparting more of a healthy sheen. It's definitely the pinkest of the bunch, as you can see from the swatch, but it still has an unmistakable coral hue. As with most NARS blushes, the formula is on point, so no half-arsed lasting power here! Rodial Blusher in Copacabana - I feel like I've mentioned this so much lately, but it's the blush I've been wearing almost every day for weeks. As far as makeup goes, I'm occasionally quite grateful to just have a really simple, no-frills product, that does exactly what it says on the tin. That's the deal you get here. The formula is a little stiffer than the other two, but the pigmentation and blendability don't suffer because of it. This is a through and through coral with a matte finish and looks gorgeous paired with a bronzed up complexion and a whole lotta highlighter. Sephora Colorful Face Powder in Sweet on you! 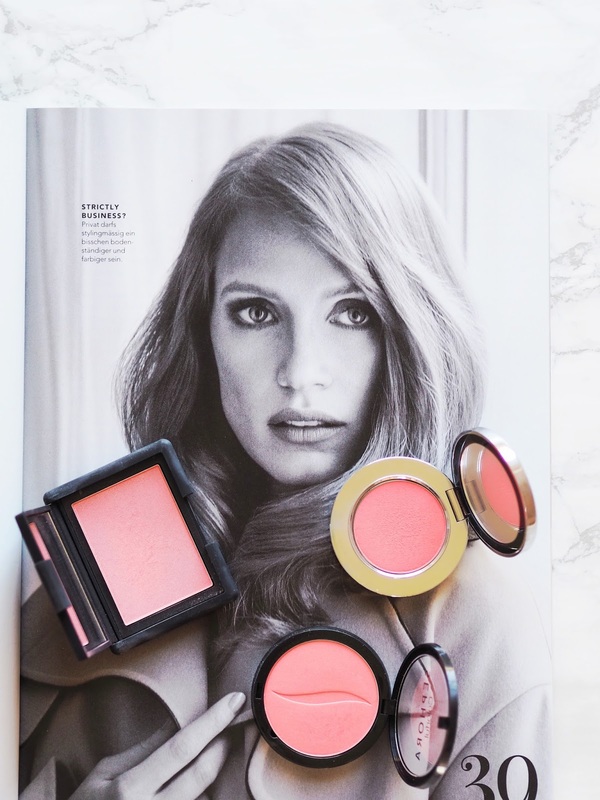 - As the most affordable of the bunch, this blush doesn't offer up a whole lotta glamour in terms of appearance or packaging, but as we all know, it's what's housed inside that counts. This definitely has the softest formula of all three; you barely need to touch the surface of the product and you're already left with a pretty impressive amount of pigment. Whilst that speaks for the quality of the powder, it can mean it's easy to go a little overboard on the application front. So use with caution! This has an ever-so-slight sheen to it, so it's not completely matte but it's so minimal that I think even matte-blush fiends will get along fine with it. From left to right: Bumpy Ride, Copacabana and Sweet on you! So there we have it, a little delve into my minor obsession with coral blush. I've been swatching them whilst typing up this post, so my hand currently looks like it's been in a minor makeup war. Hopefully this has given you some inspo if you've been after a coral blush and do let me know what your coral faves are! 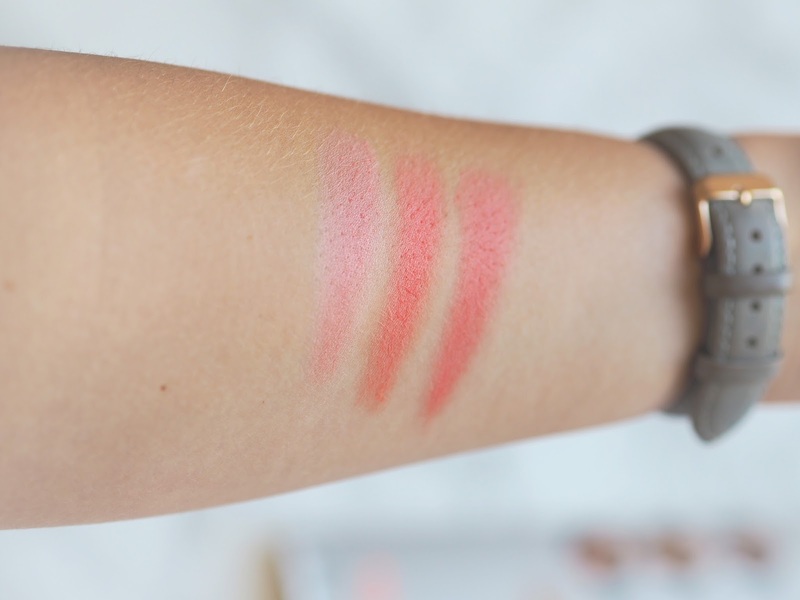 Coralista by Benefit is my all time fave blush, have you tried that? Copacabana looks gooorgeous!!!!! These all look so gorgeous, particularly love the look of Sweet on You. So pretty!